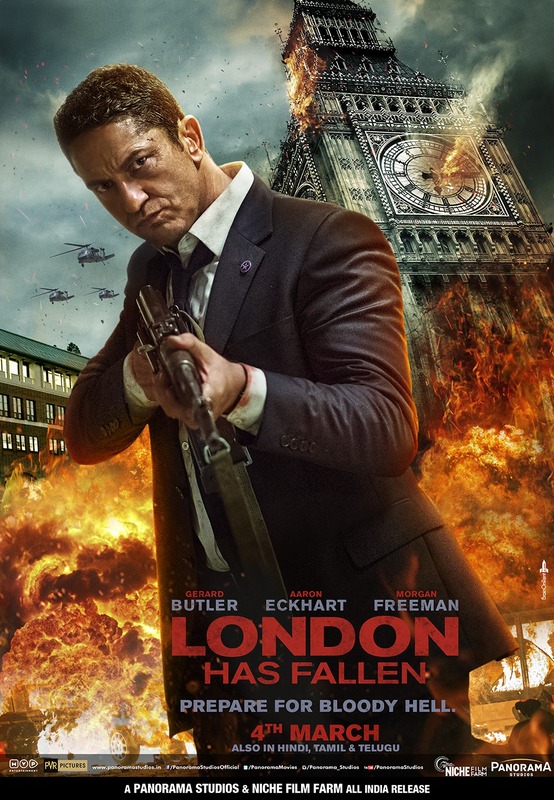 Chrichton's World: Review London Has Fallen (2016): An absolute blast. Definitely an improvement on the original! Review London Has Fallen (2016): An absolute blast. Definitely an improvement on the original! Some people never cease to amaze me. What were they expecting? 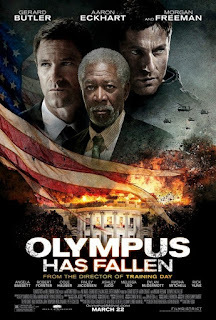 Look the original Olympus Has Fallen was never a good film to begin with. To then to hope the sequel was going to be any different is pure ignorance if you ask me. These films were never meant to be taken seriously. Although I can say without a doubt that if you enjoy good old school action you will get more than what you bargained for and then some. This sequel does away with all the elements that could hinder the enjoyment and only presents the things that are needed. Simple good versus bad tale featuring likable characters and no holds barred action. Ok all of this does come with some ridiculous American propaganda although if you bother too look at this more critically the film also offers some criticism. Actually I think both the original and this sequel in the franchise should be seen as parodies on America and it's role as the police of the world. No one should be offended by this since it only serves as an excuse for the cool action. Yes, you read it correctly. The action is cool in this one. Gerard Butler reprises his role as Mike Banning who this time around does not waste any time to do what it takes and it's magnificent. It is a real joy to see him deal with the bad guys even when it is not always clear that they are the bad guys. Basically anybody who opposes Mike is canon fodder. Surprisingly this never gets boring. This is because director Babak Najafi knows how to set up scenes and thrills with minimal means. Of course every event or development in this film is downright ridiculous. So what? It was a lot of fun. Remember how action movies are supposed to be fun and entertaining? London Has Fallen does what Batman v Superman: Dawn of Justice only could dream of to accomplish. Don't listen to the nay sayers. This is an absolute blast from start to finish. And definitely an improvement on the original.